Diana Wynne Jones spent her childhood in Essex and began writing fantasy novels for children in 1973. With her unique combination of magic, humour and imagination, she enthralled both children and adults with her work. She won the Guardian Award in 1977 with Charmed Life, was runner-up for the Children’s Book Award in 1981, and was twice runner-up for the Carnegie Medal. She lived in Bristol with her husband and they have three sons. She died in March 2011 after a battle with cancer. There are a lot of articles, tips for writers, and other material at The Official Diana Wynne Jones website. The Dalemark Quartet — (1975-1993) Young Adult. The first omnibus edtion contains Cart and Cwidder and Drowned Ammet. The second contains The Spellcoats and The Crown of Dalemark. Publisher: It is a country divided by war. For centuries, the earldoms of the North and South have battled. Now, four young people from different times — with the help of their mysterious gods, the Undying — must unite to save their beloved land. Traveling musician Moril has inherited a cwidder said to have belonged to one of the Undying. Can he learn to harness its strange powers in time to prevent an invasion? To avenge his father’s death, Mitt has joined a plot to assassinate the tyrannical Earl Hadd. But when everything goes wrong, he finds himself on a storm-tossed sea in a boat with his enemies. 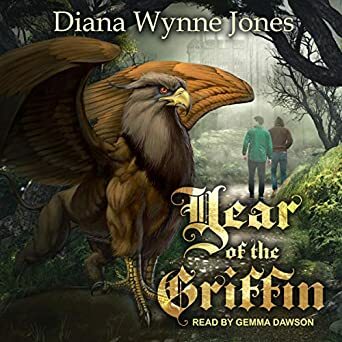 Diana Wynne Jones is best known for her quirky books that combine magic with realistic, everyday people dealing with the problems that magic creates. Though some take place in parallel worlds, the general atmosphere of these books are contemporary and firmly grounded in reality. However, Cart and Cwidder is the first book in THE DALEMARK QUARTET that follows the more generic pattern of fantasy (war in a created world) — making it unique in Diana Wynne Jones's canon of books, but a typical inclusion to the range of fantasy novels. 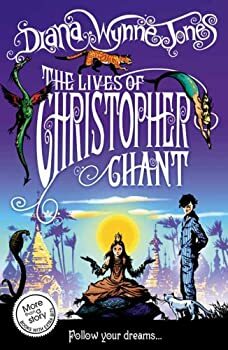 Chrestomanci — Ages 9-12. (1977-2006) Omnibus editions are available. 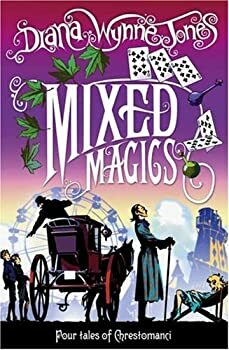 Mixed Magics contains four short stories set in the Chrestomanci world. Publisher: In this multiple parallel universes of the Twelve Related Worlds, only an enchanter with nine lives is powerful enough to control the rampant misuse of magic — and to hold the title Chrestomanci… The Chants are a family strong in magic, but neither Christopher Chant nor Cat Chant can work even the simplest of spells. Who could have dreamed that both Christopher and Cat were born with nine lives — or that they could lose them so quickly? The Lives of Christopher Chant is set twenty-five years before the events told in Charmed Life, but was published after it in 1988. Although many would avidly insist that you must read such books in publishing rather than chronological order (just look at the debate that rages over how you're supposed to read the Chronicles of Narnia) I would suggest reading this before Charmed Life. 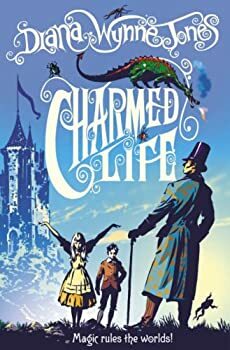 It will not ruin any of the surprises in that book, and instead drops little hints throughout (such as Chrestomanci's aversion to silver, and the name of his future wife) that will become that much more enjoyable when you read of them in Charmed Life. So says the note that Mr Crossley finds hidden between the exercise books in class 2Y. In any other world, this would be seen as a harmless joke, but at Larwood House for witch orphans, in a world run by Inquisitors and where witch-burnings still take place, such things are taken deadly seriously. Who is the witch? Chubby Nan Pilgrim, named after the most famous Arch-Witch? Sullen Charles Morgan, who holds a sympathetic view toward witches? Or weird Brian Wentworth, who behaviour gets stranger by the day? Mixed Magics (2000) is comprised of four short stories set in the fantasy worlds of Diana Wynne Jones's CHRESTOMANCI; an enchanter responsible for the proper use of magic wielded by the various witches, warlocks, sorcerers and enchanters prevalent throughout his world (and several others). 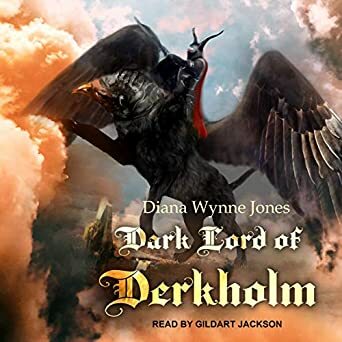 Although the stories are readable enough by themselves, filled with Wynne Jones's trademark humour and originality, it's best if you're already familiar with her previous work in the series, these tales being filled with plenty of in-jokes and cameo appearances. Howl’s Castle — (1986-2008) Young adult. 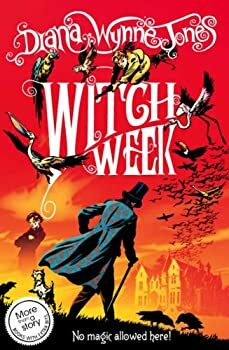 Publisher: In the land of Ingary, where seven league boots and cloaks of invisibility do exist, Sophie Hatter catches the unwelcome attention of the Witch of the Waste and is put under a spell. Howl’s Moving Castle is a book that is very easy to love. Diana Wynne Jones is a consistently entertaining author, and her prose seldom fails to be enticing and comfortable as settling into a favorite armchair, even when opening one of her books for the first time. What is perhaps even more impressive is that it’s generally very hard to discern any effort beneath the workings. Jones almost gives the impression that she writes at perfect ease, never agonizing but instead kicking back and letting the words flow in an uninterrupted, easy-going cascade. 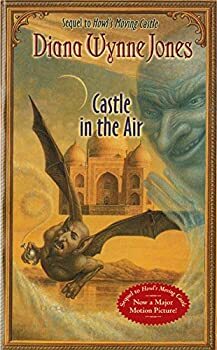 Castle in the Air: A great sequel! 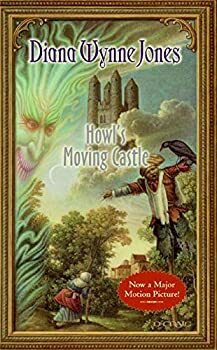 Castle in the Air is the sequel to Howl's Moving Castle, both of which are two of my favourite Diana Wynne Jones books (and according to an interview Howl's Moving Castle is one of hers). I strongly suggest reading this preceding novel before tackling the sequel as several of the characters and plot twists found here will not be fully appreciated without knowing the previous story (which is a mistake I made). 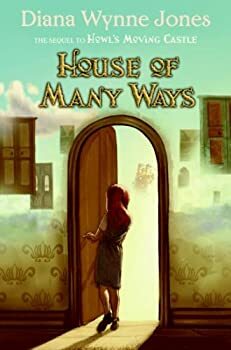 Had I realized that House of Many Ways was another sequel to Howl's Moving Castle it would've ended up in my hands even quicker than it did. Nevertheless, it found its way there happily enough, allowing me another visit into my favorite of Diana Wynne Jones' wonderful worlds. House of Many Ways features Charmain Baker, an overly sheltered girl strong-armed by her aunt into taking care of her Great-Uncle William's cottage — which just so happens to bend space and time, leading to any number of places, the royal palace included. Soon she finds herself embroiled in a quest to find the mysterious Elfgift and to stop a devious, murderous creature called a Lubbock. Fortunately (?) for Charmain, she has help: a magician's apprentice, a woeful dog that just might be magical, and the family of the wizard Howl. Derkholm — (1998-2000) Publisher: Everyone — wizards, elves, dragons, kings and queens alike — is fed up with Mr Chesney’s Pilgrim Parties. 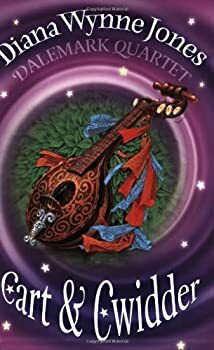 Each year they must all play different parts in his Grand Tour for other-world tourists, but now they’ve had enough: wizard Derk and his son Blade must put an end to Chesney’s rule. My usual response to reading any book by Diana Wynne Jones is: "how does she come up with this stuff?" This is swiftly followed by bewilderment (especially in the wake of Harry Potter) that nobody has ever adapted any of her work, despite the fact her stories would make for excellent on-screen entertainment. Dogsbody (1975) is no exception. It begins by introducing the immortal Dog Star Sirius, who is in serious trouble with his peers. 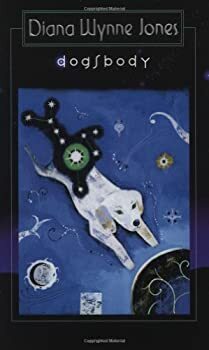 Accused of murder and theft, Sirius is sentenced to life on Earth as a mortal dog, where he is sentenced to die after his considerably shortened lifespan. He has only one chance at redemption: he can return to his celestial home only if he tracks down the mysterious stolen Zoi and returns it to the heavens. 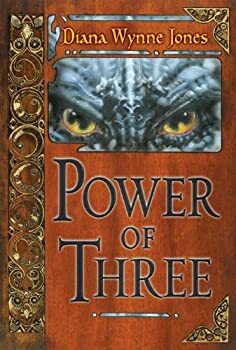 Combining the atmosphere of Celtic folklore with a plot reminiscent of Shakespeare's Hamlet, an intricate plot (including a huge twist halfway through that will completely turn your perception of the story on its head), and likable characters, Power of Three is one of Diana Wynne Jones' best novels — and so inevitably it is one of her least known. Set on moorlands inhabited by Giants, reptilian Dorig and tribes of warrior-like clans, the first two chapters introduce the rest of the story to come. First, Adara and her bullish brother Orban come across a young Dorig princeling, and Orban demands the beautiful collar around its neck. Refusing, the Dorig places a deep curse upon the collar that will bestow bad luck upon the holder and the surroundings. 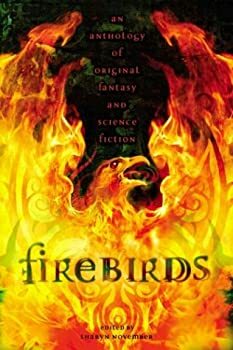 Fire and Hemlock is possibly Diana Wynne Jones' most complex and subtle novel, and it's certainly not for the younger readers who've enjoyed her most famous work, the Chrestomanci novels. It is most basically described as a retelling of the Tam Lin/Thomas the Rhymer ballads, set in 1980's England over a nine-year period. Needless to say, it is dense and complicated, filled with hidden meaning, metaphor and symbolism where two threads of life are wound together to make an intricate whole. Aunt Maria: Would make a brilliant movie! 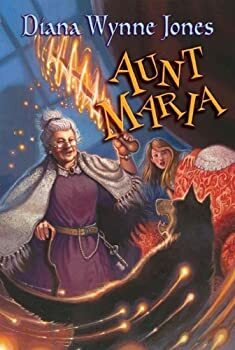 Diana Wynne Jones once again combines eccentric characters, moral ambiguity, magic, time-traveling, shapeshifting and an uncanny ability to portray human behaviour in one of her best books: Aunt Maria. With all the twists and turns that we expect from Wynne Jones, Aunt Maria is one of the most re-readable and enjoyable books in her vast collection. A Sudden Wild Magic — (1992) For adults. Publisher: The pirate mages of Arth are threatening Earth with total extinction and it is up to the Ring, a secret society of witches and warlocks dedicated to the continuance and well-being of mankind, to fight them off. Deep Secret — (1997) Ages 9-12. Publisher: A fast and witty fantasy novel about the magician in charge of Earth, who maintains the balance between positive and negative magic for the good of all. The Merlin Conspiracy — (2003) Ages 9-12. Sort of a sequel to Deep Secret. Publisher: The story is narrated by two very different teenagers, who each inhabit two extraordinarily different worlds. Arianrhod Hyde’s world (or Roddy, as she prefers to be called) is very much the world of magic, pageantry and ritual. Not unlike Britain in King Arthur’s Day, Roddy is daughter of two Court Wizards and therefore part of the King’s Progress, travelling round the Islands of Blest and ready to take part in whatever ritual or ceremony is required, as it occurs. Presiding over all, the most important person is the Merlin, who is entrusted with the magical health of the Isles of Blest. Nick Mallory’s world is much more familiar — at least, it starts off being our own. But it soon transpires that Nick’s not quite the ordinary 15 year old he seems, as he slips sideways into something he thinks is a dream — but in fact is another world entirely. Now, Nick’s been on other worlds before (although never alone) but he’s a confident type. Maybe a bit too confident… In Roddy’s world, the current Merlin expires and a new one takes his place. Yet something is wrong — the rituals have been upset and nothing is going the way it should. Roddy needs help, and certain powers indicate that Nick is to be the one to help her. And Nick is cool about helping her — in theory… but it’s a bit worrying that she seems to mistake him for a magic-user. Their stories unfold, side-by-side, each part leading into the next, and the Merlin Conspiracy thickens as the tales swirl around each other — twining, meeting and affecting each other, yet never completely combining until the very end chapters when all is finally revealed. Compelling, howlingly funny in places, mind-boggling — this is going to WOW DWJ fans all around the world (and probably in other universes too). The Game — (2007) Young adult. Publisher: Hayley’s parents disappeared when she was a baby. Since then, she has been raised and homeschooled by her grandparents. Grandad is overworked and travels a lot; Grandma is much too strict and never lets her meet any children her own age. When Hayley does something wrong — she is not quite sure what — they pack her off to her aunts in Ireland. To Hayley’s shock, her family is much bigger than she thought; to her delight, the children all play what they call “the game,” where they visit a place called “the mythosphere.” And while she plays the game, Hayley learns more about her own place in the world than she had ever expected. This original novella by Diana Wynne Jones is sharply funny, fast-paced, and surprising until its very end — like all of this acclaimed author’s work. Enchanted Glass — (2010) Ages 9-12. Publisher: Aidan Cain has had the worst week of his life. His gran died, he was sent to a foster home, and now malicious beings are stalking him. There is one person Gran told Aidan to go to if he ever got into trouble — a powerful sorcerer who lives at Melstone House. But when Aidan arrives on the doorstep, he finds that the sorcerer’s grandson, Andrew, has inherited the house. The good news is that Aidan can tell immediately that Andrew’s brimming with magic, too — and so is everyone else at Melstone. The bad news is that Andrew doesn’t remember anything his grandfather taught him. Chaos is swiftly rising, and he has no idea how to control it. A sinister neighbor is stealing power from the land, magic is leaking between realms… and it’s only a matter of time before the Stalkers find Aidan. If Aidan and Andrew can harness their own magics, they may be able to help each other. But can they do it before the entire countryside comes apart at the seams? The Islands of Chaldea — (2014) Ages 9-12. Publisher: The Islands of Chaldea is a new novel of magic and adventure by the renowned fantasy author Diana Wynne Jones, who left behind many acclaimed and beloved books upon her death in 2011, including the internationally bestselling Howl’s Moving Castle and the Chrestomanci books. The Islands of Chaldea was completed by Diana Wynne Jones’s sister Ursula Jones, an acclaimed novelist and actress. Aileen comes from a long line of magic makers, and her Aunt Beck is the most powerful magician on Skarr. But even though she is old enough, Aileen’s magic has yet to reveal itself. When Aileen is sent over the sea on a mission for the King, she worries that she’ll be useless and in the way. A powerful (but mostly invisible) cat changes all of that—and with every obstacle Aileen faces, she becomes stronger and more confident and her magic blooms. This stand-alone novel is a perfect introduction to the novels of the beloved Diana Wynne Jones. 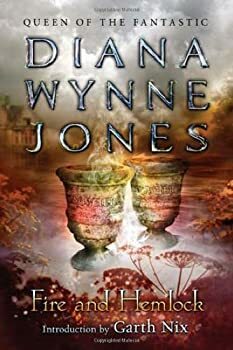 CLICK HERE FOR MORE BY DIANA WYNNE JONES.